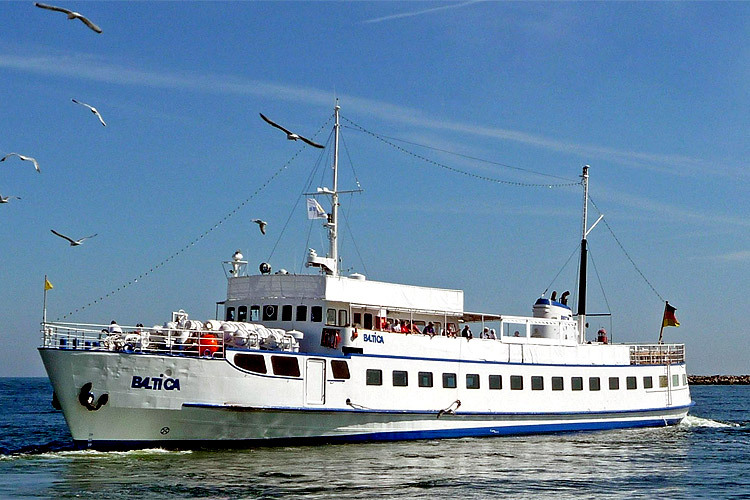 Book a trip to Warnemünde, a two-hour harbor tour or a mini cruise to Fishland/ Darß. Evening trips with music and dance, a regatta companying trips during the „Hanse Sail“ or firework trips during New Years ... there are a lot of different trips available on the 150 foot-long and 24 foot-wide ship. Accompanied by maritime music and an astonishing view of the coast you can enjoy local cuisine and some of the fresh fish from the Baltic Sea. 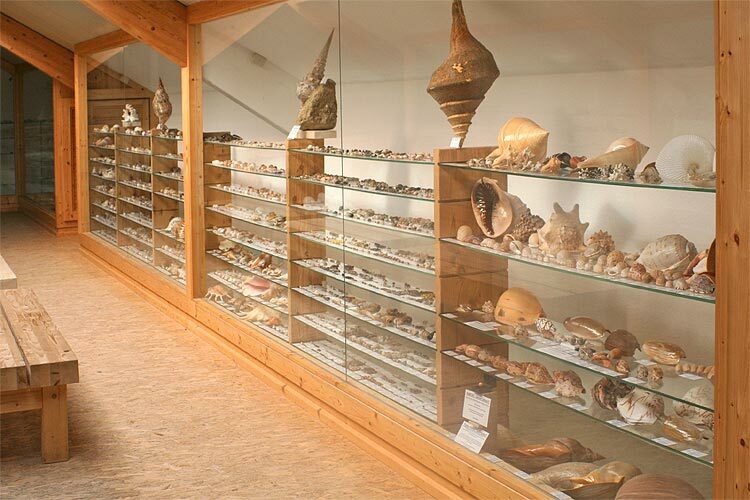 Gemstones, minerals, seashells and snail shell - the Nature sanctuary „Neuheide“ offers a variety of sparkling stones and bizarre looking formations. „Neuheide“ received recognition as an insider tip in the travel guide „Marco Polo“. Enjoy the very realistically animal preservations and a diverse world of mushrooms. Don't miss out on the highlight of the fall when the international fresh mushroom exhibition presents 400 varieties of mushrooms. 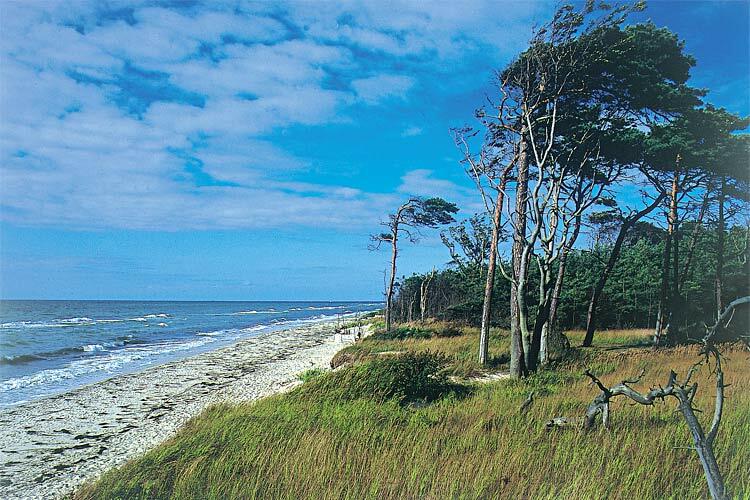 The „Ribnitz-Müritzer“ raised moor is located between Graal-Müritz and Fischland Darß-Zingst. This nature sanctuary is the natural habitat for several animals and plats that are very rare today, including some varieties of orchids and endangered bird species. 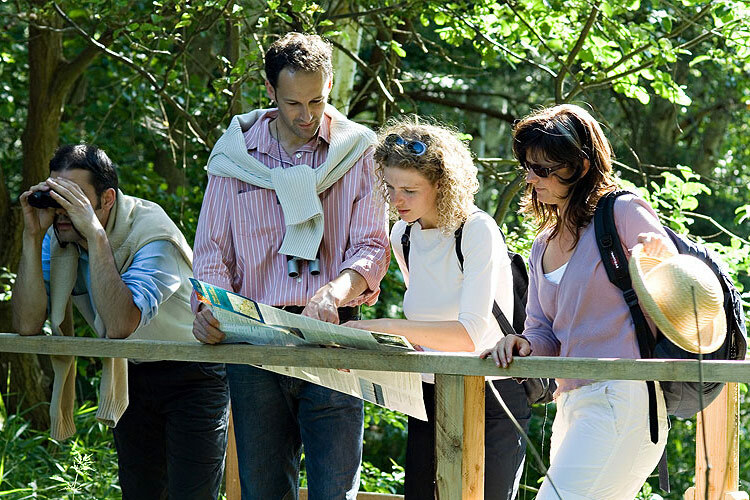 The „Tourismus and Kur GmbH“ offers guided walking tours through the moor that offer lots of information about the moor and its inhabitants. Welcome to Karl's Adventure Farm. This place is open seven days a week to surprise and inspire all age groups. The list of possible activities ranges from joining use during events, picking strawberries, shopping, to feasting and many more. Innovative ideas for the entire family in addition to a varying program throughout the year ensure a great experience for everyone. Twenty examples of regional rural architecture have been built on the 60,000 m² (645,000 ft²) property of the outdoor museum in Klockenhagen. This museum has been growing steadily since 1973 and was originally a farm owned by Heinrich Peters under protection of the national register of historic buildings. The architecture exhibition includes medieval drive through houses, barns, baking ovens and bakeries, village craftsmen houses, peaked roof houses, windmills, churches and historical convenience stores. Pieces of furniture, tools, farm machinery, a herb garden and examples of local agricultural techniques compliment the architectural exhibition. Traditional craftsmanship with historical tools is annually displayed at the „Museumsfest“ (museums festival). 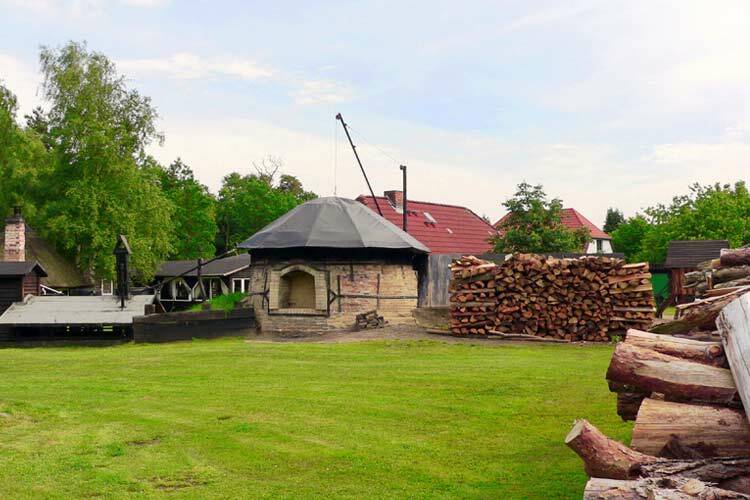 From May to September, you can see traditional bread baking in a fire-heated oven. The animals on the property bring some life to the museum. Until the end of the Second World War, a part of the Rostocker Heide (Rostock moor) was the hunting ground for the prince-electors of Mecklenburg. 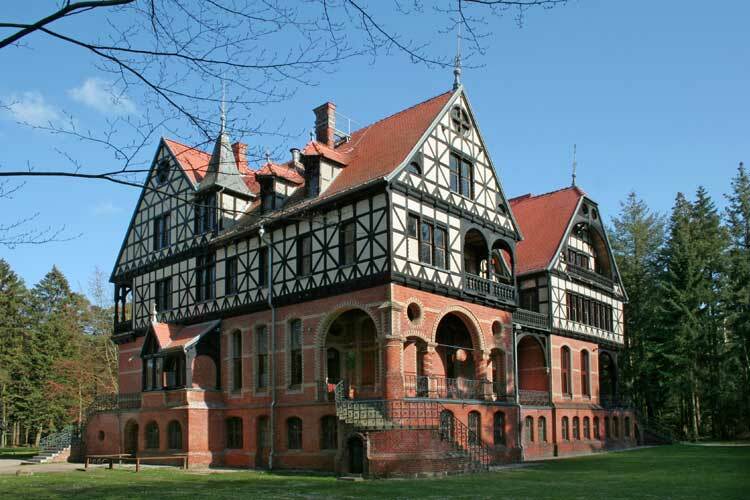 The lodge is preserved as a historical landmark and is mainly used for concerts, readings and changing exhibitions. The characteristic smell of wood tar and conifer sap welcome you to the tar distillery built in 1837 and declared a „technical memorial“ in 1984. The tar distillery museum, a sculpture trail, a natural playground for kids, snakes and drinks from the snack bar „Koehlers Koek“ make this place a great destination for a family trip. The Zoo is known far beyond the city limits with its 4,500 animals and 320 species inhabiting the spacious park and forest areas. This Zoo has it all, polar bear and elephant enclosures, rainforest pavilion and Marine bird aviary; a full day is hardly enough to be able to see all attractions in Rostock Zoo. Many large enclosures encourage you to linger and watch the animals. The carefully landscaped gardens and educational stands teach younger visitors in a playful manner about the laws of nature and the environment. Since fall 2012, this Zoo offers a unique new facility: The DARWINEUM combines history of humans and animals under one roof, while giving the apes a new home and human living conditions. Visitors walk on Charles Darwin's footsteps and get answers to the question „how did millions of years of evolution from unicellular life, developed into the miracle we call 'human'“. 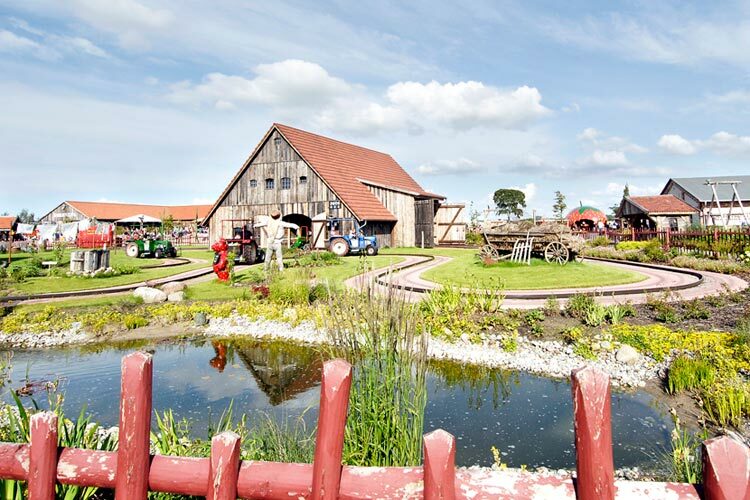 The Rostock Zoo offers a diverse program for the entire family - and that’s why, the zoo already received the award „Family friendly business Mecklenburg-Pomerania“ in two consecutive years. 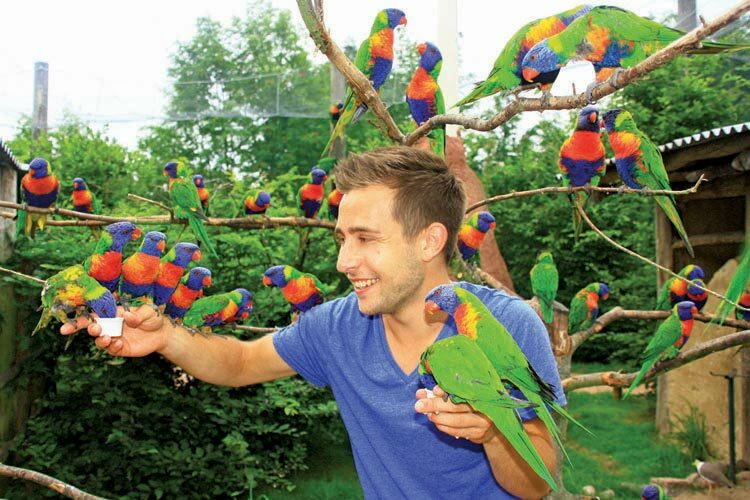 The bird park combines a beautiful landscape with adventure. „Animals. Close up. Experience.“ This motto has been taken seriously in the park; you can see up close penguins under water, conure parrots flying through the air and kangaroos on the ground. The park encourages visitors to feed some of the animals in specially marked habitats. Budgies, lorisidae monkeys, sheep and miniature pigs are waiting to be fed by you. A Slavic fortress is the set for the raptorial bird show three times a day during the summer. Another bird show entertains the visitors every day with exotic birds. 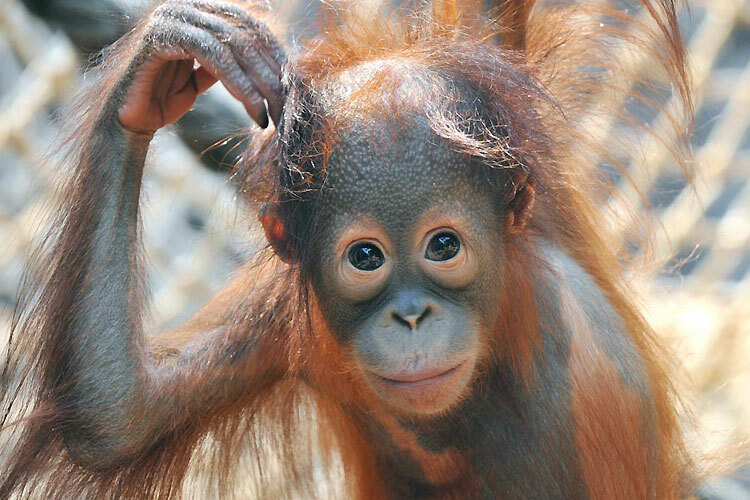 A new „treetop path“ and an open monkey habitat are some of the newer highlights. 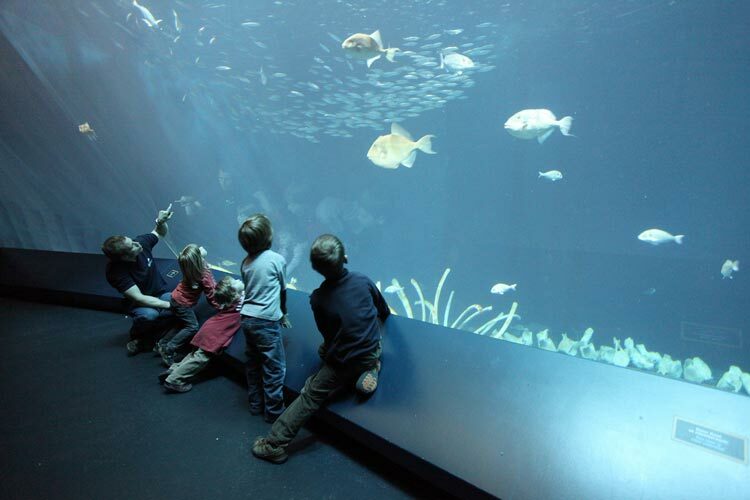 The „Ozeaneum“ is one of the newest highlights of the ocean-museum in Stralsund. The spectacular new building on the harbor peninsula takes you on a journey through the underwater world of the northern seas and oceans. The exhibitions and aquariums take you from the Baltic Sea (Stralsund harbor exhibition) to the Nordic Sea via the Helgoland tunnel, all the way to the Northern Atlantic in an astonishing schooling fish aquarium. The exhibition „1:1 Giants of the Oceans“ shows life sized replications of whales and allows the visitor get a feel for the gigantic size of ocean creatures. The castle in Schwerin might be the most important sight in Mecklenburg-Vorpommern. 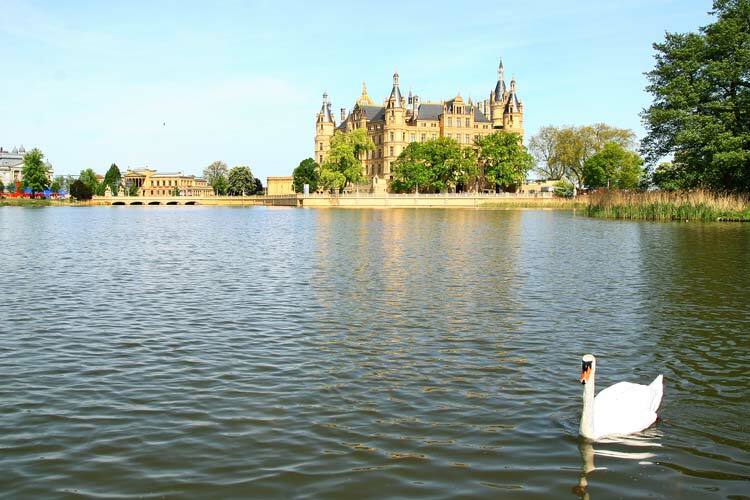 The castle is located on an island in middle of the Schwerin Lake and looks like it was taken out of a fairy-tale. The castle is the seat of the state parliament and an impressive museum. 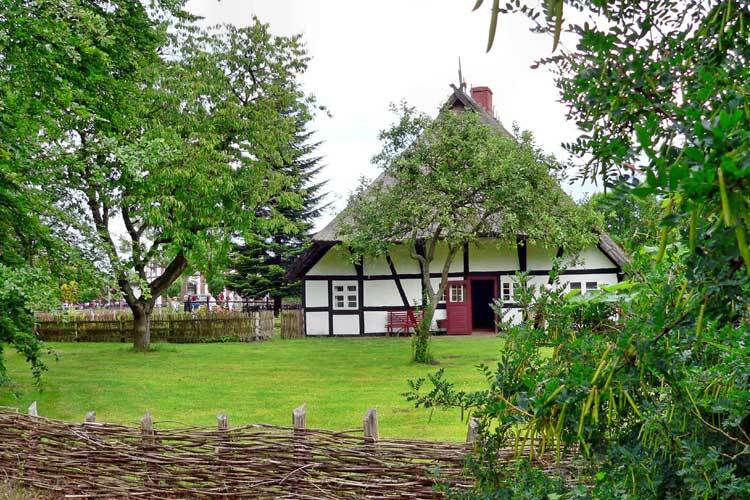 The „Alter Garten“ (old garden) is one of the most beautiful and spectacular places in northern Germany. The former royal garden is located in front of the island and is surrounded by several representative buildings: the state theater, the state museum, the historic colleague house (currently the state chancellery) and the old Palais. Explore the historic city center, the dome, the market place and the church. 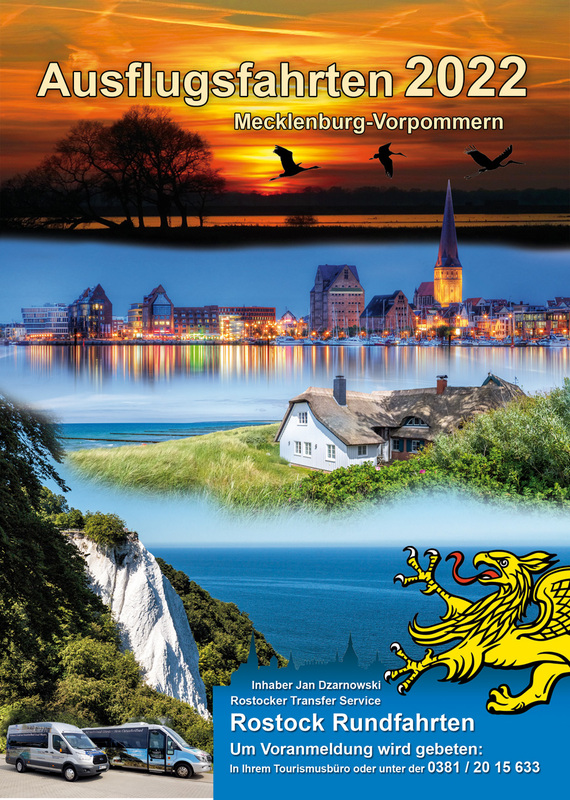 Other interesting destinations include the local zoo, mill, planetarium, observatory and the open-air museum Schwerin Müss. Schwerin offer a multitude of shops for an extended shopping trip in the „schlossparkcenter“. For more information click www.schwerin.com.